It will soon be a new year and as a business owner I'm sure you are thinking through business plans and how you plan on growing profits during 2012. When you have a passion for the work you do of course you want to let other's know about it. We know about that at MilitaryAvenue.com! But you can take it another step. With a paid ad you gain much more exposure and it can be dollars well spent! First Class Packages are as little as $5 a month (paid for a year upfront) and puts your ad on top of all the free ads at your military base or post page. Generals Packages and Featured Partner's Packages step it up a notch and then some. You can see examples and read details at the bottom of our List With Us page. It is money well invested into your businesses. Do you want to see your business throughout your local installation at MilitaryAvenue.com? Featured Partners and Base Sponsors get their face in front of more military families! Featured Partners have a 198x123 banner that is rotated throughout their sponsored installation and Base Sponsors are displayed prominently on every page of their post or base. There are great examples and details at our List With Us page. A little money up front can yield a great return! We also recently announced National Marketing options. (Marketing to the Military - Nationwide Advertising Opportunities) Banner ads, Tweets, Facebook Sponsorship and so much more! Don't miss these opportunities if you have a broader audience then just around your base or post. Do you have a network of businesses you could share MilitaryAvenue with? A wedding planner could share us with photographers and caterers; an apartment complex could share us with moving companies and storage units; a restaurant could share us with other small businesses in their network, in their town, on their street. Help promote small-business development in your town. Tell others about MilitaryAvenue.com. We hope you have a great New Year in 2012! With a little planning, a bit of budgeting and introducing yourself to the military community we know you can prosper. The New Year is almost here and we promised to provide updates for our 2012 Military Dates to Remember! Here is the first six months and we will update as the calendar continues to roll! Your military community will appreciate your knowledge of their events. 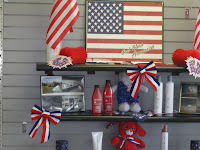 Show your appreciation with marketing efforts, simple "thank yous" from your sales staff and patriotic window displays or website images/pages. Don't forget your social media efforts too! Nothing like a mention on Facebook or twitter to draw friends, likes and shares! Do you keep up with MilitaryAvenue on Facebook or Twitter? How about our Military Discount Facebook page? We welcome your comments as a partner on Facebook too! A great way to make others aware of your military support! 14th Valentines Day - Did you know? If you know someone in the military you can send them a Valentine's Message via The Stars & Stripes. Celebrate Military Children - Nothing more important than the children of our serving military personnel! Recognition of their sacrifice is a great way to say thank you! 27th Arbor Day - Plant a tree for the Earth! A great opportunity to recognize military families! 11th Military Spouse Appreciation Day (the Friday before Mother's Day) - Some great ideas on how to reach out to Military Spouses on their day! "101 Ways to Thank a Military Spouse"
At MilitaryAvenue we pride ourselves in helping local military-families find local businesses that support them. There are unscrupulous businesses out there that are ready to take advantage of the 'new in town folks'. However, our Partners have affirmed our core values, Trust, Value and Service. 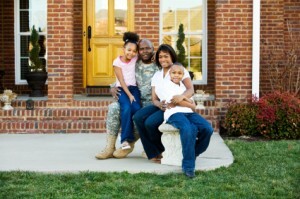 We know that you will be there for our military families, welcoming them to your neighborhood. 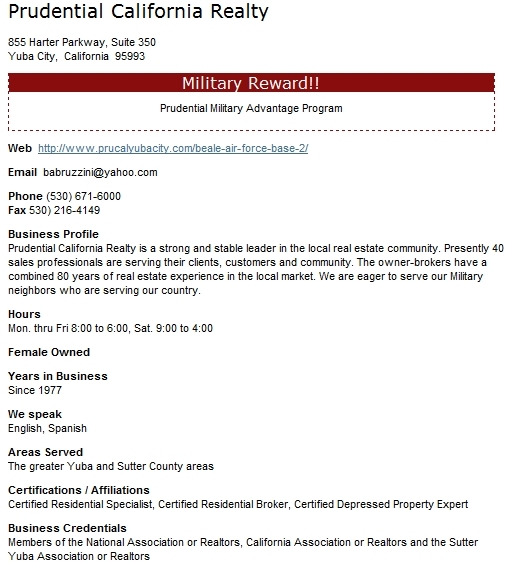 A MilitaryAvenue Partner can have a free ad on MilitaryAvenue.com at their local installation if they offer a military-discount. This is our way of saying 'Thank you!' for giving from your bottom-line back to those who serve. There are other opportunities too: First Class, General and Featured Partner Packages. (Learn more: MilitaryAvenue Partners: You too can be a General) You can even be the exclusive base sponsor, A Market that Rewards the 'Sponsors'. All of these opportunities will put you at the heart of your local military installation. We also know there are times when businesses want to reach out nationally and we want to give you that opportunity. Note: We offer a percentage discount for each extra-month you pay for up front. As an example, if you pay for six months up front we will offer a 6% discount on the total cost of advertising. If you want to take advantage of this offer contact us at sales@militaryavenue.com or dale@militaryavenue.com so that we can create a package tailored to your needs. Each month we send our newsletter out to our Military Family subscribers. The average subscriber is an Active Duty Family between the ages of 28 and 37. What a great demographic for your business! We can place an image (160 x 600 pixels) in our monthly e-publication for $400. Grab US military-families' attention from around the world for as little as 3-cents per newsletter. We will mention your company with your message for $40 on our MilitaryAvenue page (http://Facebook.com/MilitaryAvenue) and Military Discount page as well as on Twitter at @MilitaryAvenue. We want to keep our military families engaged and so this is a rare-opportunity. 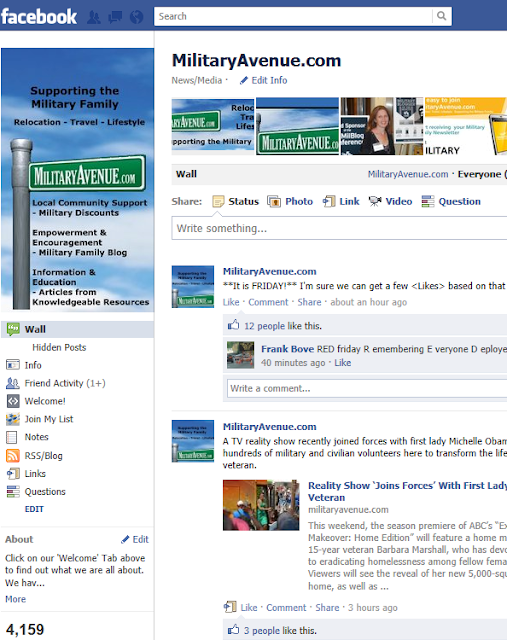 Here is an example of a Facebook Sponsorship in the past: http://www.facebook.com/MilitaryAvenue/posts/170356336387715. Place a banner ad on "Our Letters to You", a military family blog, on the right side above our index of blog-posts, http://militaryblog.militaryavenue.com/. This option would be $100 for one month (Image 160 x 600 pixels). Your banner may rotate with up to 4 other banners. Historically, this is approximately five-cents per page view if you are sharing rotation-space, and as our readership grows your cost-per-page view decreases. Once a month we publish Military Alerts to our subscribed Military Families. 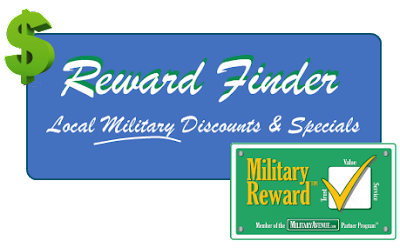 This monthly email is full of local military discounts but has the opportunity for up to three nationwide banners (250 x 60 pixels). At only $300 per month this opportunity is approximatly two-cents per email. We can also accept checks for these advertising opportunites. Please contact us at sales@militaryavenue.com or dale@militaryavenue.com if you would like to make payment that way. Our network trusts us to bring them trustworthy support. All advertisement must be approved by MilitaryAvenue.com. We reserve the right to refust any advertisement that we are not personally comfortable recommending to our military-families. Say "Thank You" on Veterans Day! We frequently get visits to MilitaryAvenue for folks looking for military important dates! To help, we will again begin placing important dates for the military community for followers to see! Well in advance of the date, so you can reach out and plan to recognize the events appropriately! We will also post on twitter! We are posting through June 2012 and will update as we gather new or updated information! Some dates may not be particular to the military but think of a deployed service member returning after a deployment and enjoying Thanksgiving with their family. Last year there was an empty chair while they were gone! Or maybe a Valentine's Day reunion for a couple after a lengthy separation! We added a few for just convenience as well. 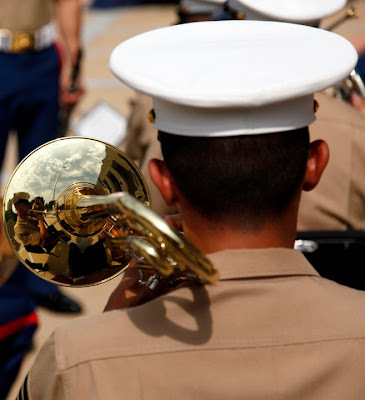 Some great ideas for year round recognition on MilitaryAvenue's 101 Ways to Thank a Veteran! 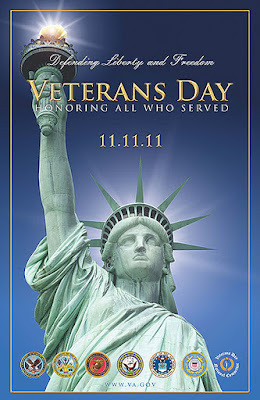 Veterans Day 2011 - What are you going to do for our Military-Veterans? Next month is Veteran's Day and a great chance for you to note their sacrifices and protection of our great country. As a MilitaryAvenue Partner what are you doing to recognize our Military and Families this upcoming Veterans Day? Start preparing now for this day of recognition for those who have frequently given so much for their country. Many military families are operating with a second or third deployment over the holidays! Can you say "again"? 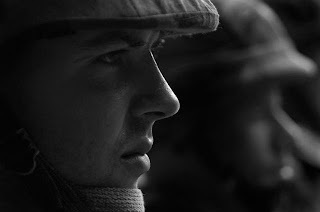 Many Military-Veterans didn't get the recognition they so deserved so many years ago. All Veterans and families could use a simple "thank you" from all of us. First of all offer a Veterans Day Special, for our veterans. 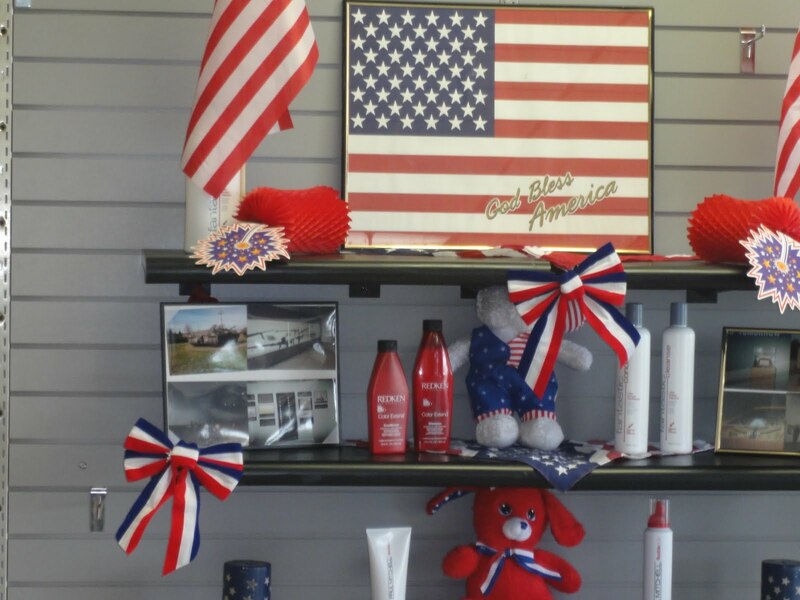 Offer something from the heart that you know your military-veteran customers will appreciate. It is only a small token of what they have done for us! First of all, if you are having a Veterans Day Special, log on to your account and update your reward. 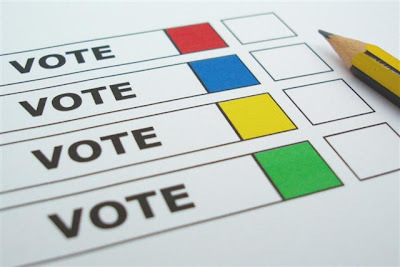 Do this before November 1st so that it will be included in our monthly-Alerts! If you are offering a remarkable military discount or incentive for our Veterans we will add it to our growing list - Veterans Day 2011 - Military Discounts. Last year's list was circulated by official military-organizations, military-spouse and family groups, and so much more and is STILL looked at every day. To show our appreciation for your support to our veterans and their families we are having a "We Thank Veterans Campaign" until November 11th! Make the promise to thank veterans and we will offer you a ten percent (10%) discount on any upgrades with the discount code, "VETERANS". Log in to your account and build your upgrade! 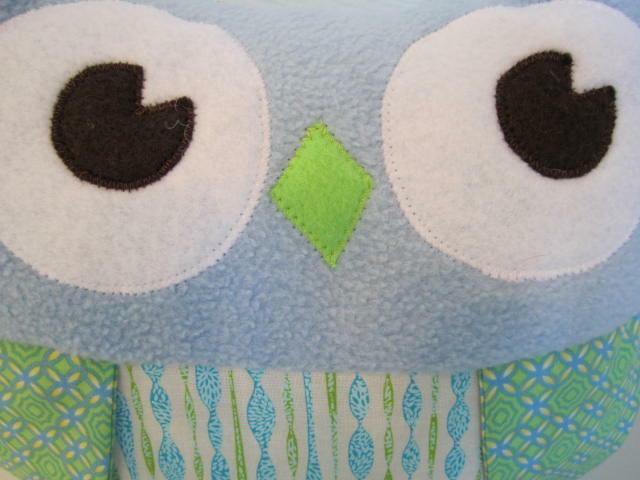 During checkout enter the discount code and it will be automatically discounted and your ad year starts again! Thank you! Grand Rapids, MI, October 5, 2011 - MilitaryAvenue.com is seeking businesses that value, support and wish to recognize our past and present military members this Veterans Day. Veterans Day is the perfect opportunity to take part in MilitaryAvenue.com’s ‘Celebrating Veterans Giveaway’. As a business that supports America’s soldiers, sailors, airmen and marines consider donating a national gift-card, Visa Cash Card or merchandise to this giveaway recognizing the sacrifices of our Veterans, Active Duty, National Guard and Reserve service-members. It is a simple way for a business to say “Thank You”. Businesses that participate in MilitaryAvenue.com’s Veteran’s Day Giveaway will experience increased brand awareness among military families. 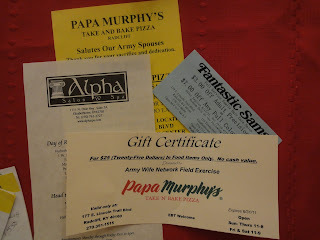 The giveaway announcement at ‘Our Letters to You’, an award winning military family blog (http://militaryblog.militaryavenue.com) will include a business logo and website link for the participating company for each donated gift. Businesses that play a part in thanking our military veterans through this giveaway can expect to see their company mentioned throughout social media circles including Facebook, Twitter and LinkedIn. Past giveaways at MilitaryAvenue.com to military-families have been met with great success. Veterans do not expect to be recognized but they appreciate and support the businesses that do take the time to acknowledge their sacrifices. Read stories of thanks at Marketing to the Military, “Thank You” (http://militarymarketing.militaryavenue.com/2011/08/thank-you.html). This should be a Veterans Day Military Veterans and families will not soon forget. Please contact a MilitaryAvenue.com team member before October 20, 2011 to donate a gift that a military family can win in a random drawing of entries on November 15, 2011. Founded by a team of military and Internet veterans and based in Grand Rapids, MI, privately held MilitaryAvenue supports the relocation, travel and lifestyle needs of the American military family. MilitaryAvenue.com is a free global and local online guide to goods, services and community information for over 240 military installations in the U.S. and abroad through the nation’s largest database of military discounts, the most comprehensive directory of local base community businesses, and an extensive library of articles and resources for the military family experience. 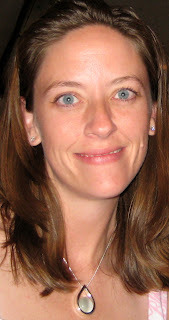 I just read an interesting article on SocialMediaToday that I know is quite appropriate for our Business Partners. On average, Facebook Pages that show posts via a third party app such as HootSuite or TweetDeck, as opposed to linking the old fashioned manual way, receive 70% fewer likes and comments. Linking to your Facebook Page via auto post is a very common and time saving practice and while I have dabbled in it, for the most part I stay clear from it for the simple reason of posting via an auto post just doesn't look as good or as appealing as doing it manually - posting a link directly from your Facebook Page. We have found that third-party apps like TwitterFeed are great for Twitter. Automatic posting makes it very easy to share our latest articles, blogs and even military discounts! Our followers enjoy retweeting them and our readership grows. However, Facebook is a much more personal experience and we at MilitaryAvenue have always steered clear of automatic posting. Instead, we pick a few key articles, an empowering quote for the day, and a general question to engage our military-families. As for the articles we elect to share, we select a photo to catch our readers' attention and add a comment as to why this article is relevant to them, the military family. Our user experience is much more engaging this way. As a small business owner you too have to find the balance of 'too much information' (which often comes with auto-posting) for your followers as opposed to falling off their radar with not enough posts. You want to share the right amount of engagement, making your business a trusted resource. Find your balance, share the posts relevant to your fans, and you will be on your way to being a valued resource to your customers. Best of luck! By the way, if your business does have a Facebook presense be sure to pop over to our MilitaryDiscounts page an introduce yourself: http://www.facebook.com/pages/Military-Discounts/112981725440917. We post new and updated discounts to our Facebook Friends at Military Discounts (over a thousand growing very fast) and love the interaction from our Business Partners as well. What a great opportunity to engage with potential new customers! The majority (86.0%) of officers have a Bachelor’s or higher degree. Few (4.6%) enlisted members have a Bachelor’s or higher degree, while most (94.0%) have a high school diploma and/or some college experience. In the past nineteen years, the percentage of Active Duty members who have a Bachelor’s and/or an advanced degree has decreased for officers (from 89.6% in 1990, to 86.0% in 2009) but has increased for enlisted (from 2.5% in 1990, to 4.6% in 2009). 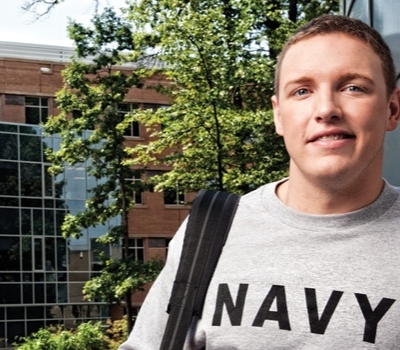 Visit our Education Center to read about our Military Education Answers, articles and resources. Source: 2009 Demographic Report as published by the Office of the Deputy Under Secretary of Defense (Military Community and Family Policy). More than one half (51.5%) of Active Duty enlisted personnel are 25 years old or younger, with the next largest age group being 26 to 30 year-olds (21.3%), followed by 31 to 35 year-olds (12.3%), 36 to 40 year-olds (9.4%) and those 41 years old or older (5.5%). Almost one fourth (24.3%) of Active Duty officers are 41 years of age or older, with the next largest age group being 26 to 30 year-olds (21.9%), followed by 36 to 40 year-olds (20.2%), 31 to 35 year-olds (19.8%), and those 25 years old or younger (13.8%). 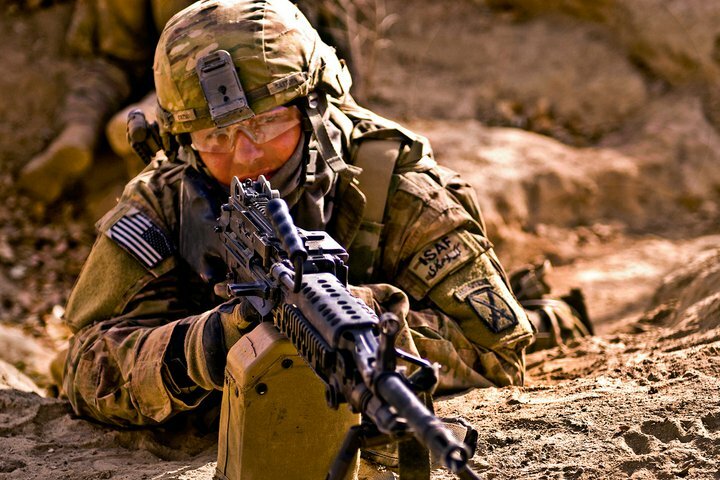 Overall, the average age of the Active Duty force is 28.4. The average age for Active Duty officers is 34.7, and the average age for enlisted personnel is 27.2. Where does our Active Duty Live? at the War Memorial in St. Louis, MO. ﻿﻿While the Active Duty population is located throughout the world, the three primary areas in which Active Duty members are assigned are the United States and its territories (86.5%), East Asia (6.3%), and Europe (5.8%). This is just the Active Duty military-person. There are more family members then military personnel so for the most part you can at least double each number to get a picture of how many military & family members live in your state. 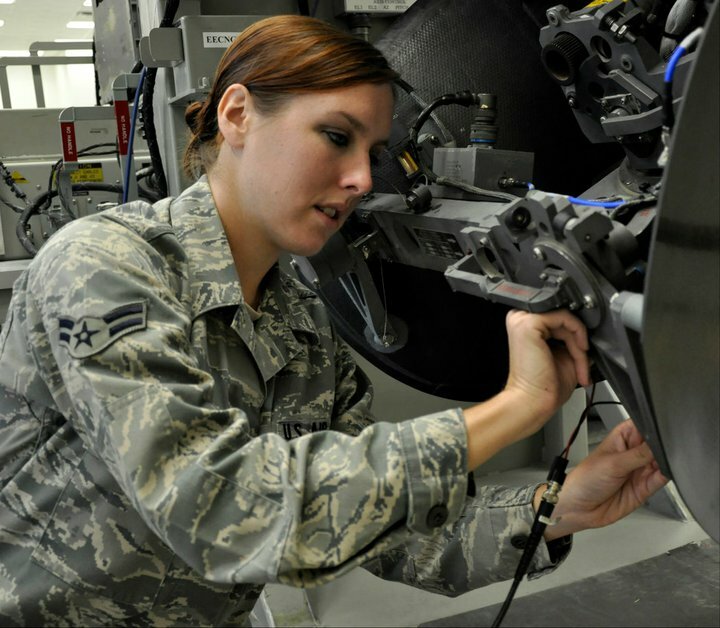 Women comprise 200,888 or 14.3 percent of the DoD Active Duty force. The percentage of women in the Active Duty population is greater in 2009 than it was in 1990 (from 11.5% of officers and 10.9% of enlisted in 1990, to 15.5% of officers and 14.1% of enlisted members in 2009). Overall, the number and ratio of female officers (35,611) to female enlisted (165,277) is one female officer for every 4.6 female enlisted members. This ratio varies across the military Services with the Army retaining one female officer for every 4.1 female enlisted personnel, the Air Force retaining one female officer for every 4.3 female enlisted personnel, the Navy retaining one female officer for every 5.3 female enlisted personnel, and the Marine Corps retaining one female officer for every 9.7 female enlisted personnel. Thank you to USAA, Sitter City, Home Depot, Sears, Army Wife Network, Homes for Heroes and Dee Ramsay Burnett of Prudential Network Realty. Without you and the support you have for our military and their families we wouldn't have been able to have such a wonderful giveaway earlier this month, One Thousand Posts - Let's Celebrate! MilitaryAvenue Partners, This giveaway was such a success that I would love to do another drawing soon. My thoughts on a Veterans Day giveaway follow some very kind Thank You notes from some of our winners. So please read through if you are interested in participating and thanking our Veterans with a gift. I just wanted to send out a huge thank you for sponsoring the recent contest for MilitaryAvenue.com, a company that supports our military family with so much great information and guidance. I am one of the winners of the pendant and it is beautiful! We love USAA already, after having insurance and banking with you all for over 13 years, we couldn’t ask for more. Your friendly staff, your great products, and your ability to handle your business so that we don’t need to worry about our money is such a gift and we are grateful for it, especially in the times as they are now, knowing we can rely on your company to do what is right. 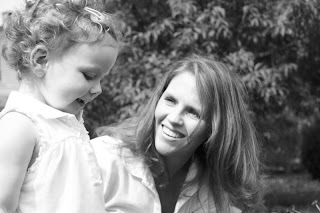 Thank you for the last 13 years, for the beautiful gift, for your support of institutions like MilitaryAvenue.com that support us when we need it most, and for your support of military families across the globe…here’s to so many more. I wanted to thank you again for your Giveaway Extravaganza and of course all the ways you help the military folks. I got my $20 Gift Card from Sitter City today and was so excited. I love getting goodies in the mail! I had never been to their website before and it was very neat to check out. My daughter is getting to an age where having a reliable babysitter might be nice sometimes when friends aren't available. I'll be sure to pass along the site to my friends, too. Please pass on my thank you to the kind people at Sitter City. I appreciate their generosity. :) I plan to put my $20 gift card in a safe spot in my purse and pull it out on a day that I just want or need something special for myself like a manicure or something. Maybe I'll get one done for the Khaki Ball! Whatever I do, I'll think about y'all (Military Avenue and Sitter City) and enjoy it. So, thanks again! Thank you USAA for this wonderful gift. We found out the week of our 16th wedding anniversary that we won and can't wait to do something romantic and fun with it. What a treat to be able to spend a great date night with my husband and not even have to work it into the budget! Thank you so much for the gift card and the great services your bank offers. We LOVE USAA and the AWESOME customer service we always receive! I won a gift card from Sittercity. 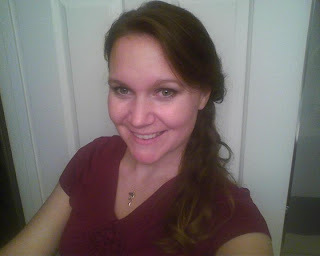 I plan to use it for a date night with my husband- coincidentally, using a babysitter that we are finding via Sittercity! I have been using the service for a year and a half and it is so wonderful that military families get a free membership. We just moved to a new area and I don't know how else I would be able to find a reliable babysitter. Thank you so much for the great gift package of Army Wives materials. My son loves the tattoos and the book looks very interesting. I look forward to reading it and then passing it on to another Army Wife to enjoy. The included cd is amazing too! I also plan to view the "New Spouse Orientation". Although I am not a new wife, I'm curious of the information they include. I will also be passing that on to new Army Wife so she can be encouraged with the information as well. That is a whole lot of appreciation from the heart! Thank you again to all of our Giveaway Extravaganza sponsors. Your gifts made this Army Spouse very proud. 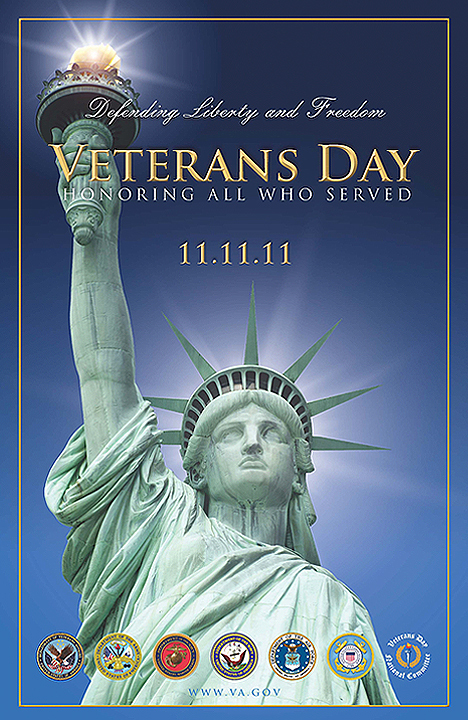 To our MilitaryAvenue Partners: I would love to do something for our Veterans and families for Veterans Day, November 11, 2011. If you are interested in donating a gift please let me know, leanne@militaryavenue.com. We had so much success with this giveaway that I know your gift, like a Visa Cash card or another universal gift would be very well received and then *you* may just be the next company to receive such a warm and appreciative Thank You! Storm, provides security for Afghan National Security Forces. ﻿The Army has the largest number of Active Duty members (549,015) followed by the Air Force (328,847), the Navy (324,239), and the Marine Corps (203,075). There are also 42,426 Active Duty members of the DHS’s Coast Guard. At a total of 1,447,602 DoD Active Duty and DHS Coast Guard Service members, the military force of 2009 is 29.9 percent smaller than it was in 1990 (when there were 2,065,597 Active Duty members). The percentage change in the number of DoD Active Duty members in each Service branch compared to 1990 has varied significantly. Compared to 1990, the Coast Guard and Marine Corps have increased 16.9 percent and 3.4 percent, respectively. Conversely, the number of Active Duty members is lower in 2009 compared to 1990 for the Army (24.6%), Navy (43.5%), and Air Force (38.1%). Note that our Military Population is smaller since 9/11/01 and yet with such greater job demands. What can you do today to thank a Military Member for their diligence? 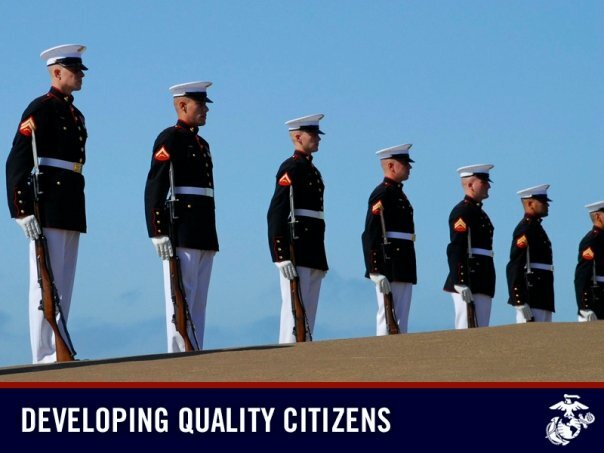 The total number of military personnel is over 3.6 million strong, including DoD Active Duty military personnel (1,405,176); DHS’s Active Duty Coast Guard members (42,426); DoD Ready Reserve and DHS Coast Guard Reserve members (1,079,627); members of the Retired Reserve (220,645) and Standby Reserve (25,808), and DoD appropriated and nonappropriated-fund civilian personnel (882,674). DoD’s Active Duty and DHS’s Coast Guard Active Duty members comprise the largest portion of the military force (39.6%), followed by Ready Reserve members (29.5%) and DoD civilian personnel (24.2%). We have some great military supporters on MilitaryAvenue! In fact, our MilitaryAvenue Partners are the best! You are part of an elite group of business patriots! Congratulations! Now the next step: What are you telling your military audience as a Partner? That you support them during wartime? That your ad demonstrates your willingness to recognize their sacrifice? Does it show you are professional, your service or product is worth spending their combat earned dollars on? Let’s take a look at two ads. First is an example of an ad that needs more information to create interest. The second provides more information and will draw folks to read more and find out who you are and what you are providing. 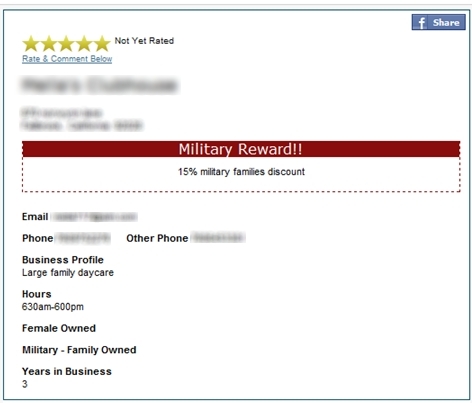 There is space for your business profile, your contact information, credentials, number of years in business, certifications/affiliations, business hours, your website/phone number for the Military Reward coupon, the Military Reward coupon and more! Many ways for you to tell a military community member why they should contact you, visit you online or in your store! Think about how you choose a company to conduct business with and open the door to your military community. The profile is filled, you know where they serve and the information has obviously been well thought out and presented. Notice how they reach out to the military community with their comment "We are eager to serve our Military neighbors..." They also have their logo on their ad for visual appeal! Would you like to read more on how to edit your ad? Please go to our Welcome page for specific directions on how to edit! PS: Please join us at Businesses That Support Our Troops on Facebook. 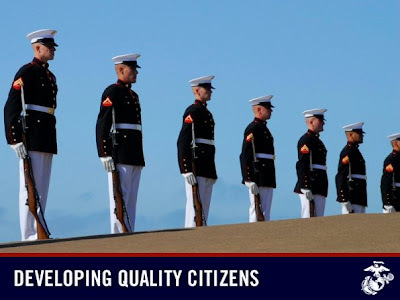 It is a group forum that allows you to connect, find out new ideas (like these) from other businesses that are making it with the military community and much more! We just started, be among the initial members to join. Sifting through my mail I was shocked to find a post card from Gazelle Sports! 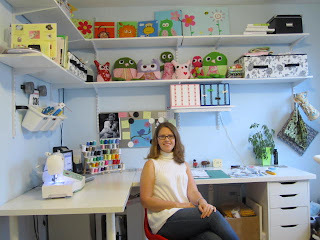 I just had a great experience with a business! I will be going back! How do you get your customers to return? How do your customers find you? Have you targeted the military community around your post, base, station, camp lately! Do they feel welcome? Appreciated? First, I am a cancer survivor with a foot that has had two surgeries and a leg that had one surgery. Both have special requirements: shoes for the foot and bike type shorts for the leg. So one of my doctors recommended Gazelle Sports in Grand Rapids and I took his recommendation. I felt appreciated and cared about at this company! The customer service was fantastic with personal service and the sales personnel paid attention to detail, answered questions and did not hype sales of other products. But they did point out other products that might be helpful. Is your sales staff knowledgeable of your products? I was impressed with the help I received while fitting the shoes (bought two pairs) and the recommendations for a leg fitting pair of shorts was right on the money! The military community recognizes that kind of service and will recommend you to other service members and their families! How do you treat them?